For many people, the term “innovation” implies having a great idea, and hoping that somehow it will take off. According to H. Chesbrough, this is clearly insufficient, and in his definition, he is very specific and demanding: an innovation is an invention that has been developed into a novel product or service, and which is creating economic value. Or simply stated: Without market success, no innovation has happened! As most companies know from painful experience, the market success of novel products or services is not a given. 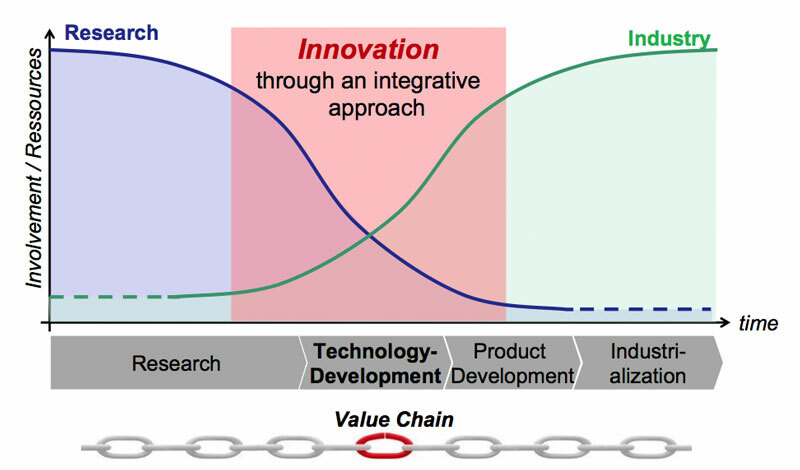 According to Chesbrough’s definition, innovation therefore implies a high risk of failure. These risks tend to remain small as long as the innovation process is proceeding in incremental steps. Such “sustaining innovation” is the realm of established companies, which excel at deriving large value from small changes. However, if a completely new and different value proposition suddenly appears in a so-called “disruptive innovation”, established companies are frequently ill positioned to exploit the arising opportunities. According to C. Christensen, established companies are then faced with the “innovator’s dilemma”: their existing customer base and company expertise are too far removed from the requirements of disruptive innovations. This really is the realm of startup companies and innovative SMEs because they are less risk-averse, more flexible and less mired by entrenched company traditions than well-established, already successful firms. Job creation and job destruction in the United States. Source: T. Kane , “The Importance of Startups in Job Creation and Job Destruction”, Kauffman Foundation Research Series, July 2010. In effect, startups have also a major function as job creators in a country’s economy. As shown in an influential study by the Kauffman foundation, startup companies in the United States reliably create many more jobs than existing companies, and they do not show the economic fluctuations (net job destruction during recession periods) of existing firms. As a consequence, it is a major task of society and its universities to encourage and to support the creation of startup companies, in particular in the high-tech domain. Peer home: Young scientists usually feel very much at home at their university institute, where every scientific or technical question is immediately answered efficiently and exhaustively. However, as soon as entrepreneurial issues are raised, the interest of other young scientists quickly vanes. As a consequence, young scientists with entrepreneurial ambitions are looking for a second, entrepreneurial home at their university, where they can find like-minded young talents. However, it is not only peer support that they expect to find in such a “biotope” but also peer stimulation and peer pressure: it is well-known that the most effective way for people to learn is from good (and bad) practical examples given by one’s peers. Experienced coaches: It takes many years to become an experienced business person, to master the countless things it takes to build successful enterprises, and to develop a deep understanding of specific markets. For this reason, young talent can profit enormously from the practical advice offered by an experienced and successful serial entrepreneur. One should not underestimate the ability of a well-chosen coach to be a compelling role model, who passes on significant behavioral and ethical values in addition to technical and business know-how! For this reason, it is vital that the “chemistry” between coach and coachee is perfect, and a substantial effort should go into good matchmaking. Network facilitation: The combined professional network available at an excellent university is enormous. Unfortunately, young entrepreneurs usually find it quite difficult to tap into this huge network – either because they do not know whom to ask, or what and how to ask. As a consequence, young entrepreneurs need “network facilitators” who have both the experience and the authority to make a university’s vast network available to the young talents with high effectiveness. The ETH Innovation and Entrepreneurship Lab (ieLab) video shows how ETH fosters entrepreneurial spirit in its young researchers. The desired “innovation biotope” for the ieLab was realized as several large open offices with associated infrastructure, where young talents can find a second, entrepreneurial home at ETH. We found that the different business cultures in various fields necessitated the creation of different ieLab open offices: one for typical engineering activities (including a mechanical work-shop), comprising robotics, automation, micro/nano-electronics or photonic microsystems; another one for life sciences (including well-equipped biochemical wet-labs), where development cycles are usually much longer and a trade sale exit to a large pharma/chemical company is rather the norm than the exception; another one for ICT startups with their characteristic very short time to market. Each ieLab typically hosts eight to twelve teams. Open-concept office space at ETH’s Engineering ieLab. The ieLab coaches are experienced and successful serial entrepreneurs, hand-picked from ETH’s vast network to match the personality of the young talents. The coaches share their large experience, business practices, market intelligence, supply chains, customer bases, investor communities etc. with their coachees, introducing them very effectively to all aspects of today’s high-tech entrepreneurship. In particular, coaches have a deep knowledge of their respective markets – they know about the needs of potential customers and about the shortcomings of current solutions, and they are good at figuring out which novel technological solutions could have large market potential. Also, the coaches are instrumental in an often-overlooked aspect of the development of a startup: it has been found that fledgling high-tech startups grow faster and create more economic value if they have entered into a strategic R&D alliance with an established industry partner. The experience and negotiation acumen of an adept coach can help enormously in the creation of a win-win alliance partnership between academic spinoff and large industrial company. The ETH network facilitators are all very experienced in the startup process and they have a vast network at ETH and other leading universities. Since they have their desks right in the middle of the open spaces, there is no entry barrier for the young talents to ask for help and to watch how problems can be solved effectively. In addition to operating the ieLab, ETH offers a range of support services for the fostering of entrepreneurship, most notably ETH transfer, the tech-transfer office of ETH. All questions regarding contracts, legal issues, intellectual property, licensing, etc. 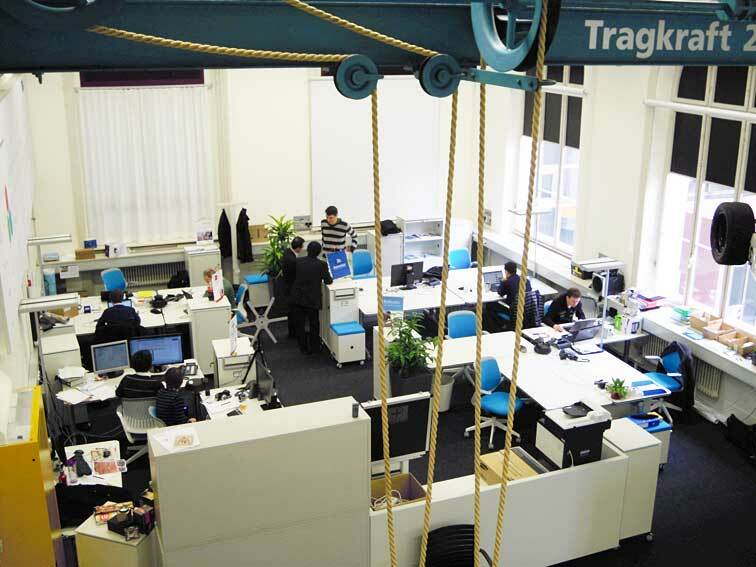 are answered by ETH transfer’s professional crew. Several types of events related to entrepreneurship are regularly organized, including the ieLab weekly lunch seminar, industry days, homecoming dinners for ETH spinoffs, the Spark Award, “meet the pioneers” events, partnership council meetings, etc. Finally, ETH offers Pioneer Fellowships to the most gifted 10-15 young entrepreneurs each year. This includes CHF 150,000 seed money, free incubation in one of the ieLabs, free access to the services of ETH transfer, as well as individualized free coaching and networking throughout the 18 months of the Fellowship. This experience makes great team players out of initially individualistic students; they have learned how to acquire additional theoretical knowledge effectively and how to apply it rapidly to their practical problems, they have become flexible problem solvers, and – last but not least – they realize their entrepreneurial potential. A good example of how innovation and entrepreneurship have become deeply ingrained into the ETH culture is the robotics innovation Skye. It all started with a difficult challenge to be tackled in the framework of an ETH focus project. The problem was to come up with a robotic solution for the safe monitoring of large crowds or complex technical facilities, making sure that no dangerous situation could arise due to the possible malfunction of a component or sub-system. The challenge was embraced by a dedicated team of nineteen students from diverse ETH domains such as robotics, mechanical engineering and electronics, as well as industrial design students from the Zurich University of the Arts. The students came up with a novel concept of a surveillance robot: an omnidirectional spherical blimp capable of travelling at speeds of up to 20 km/h and at cruising altitudes up to 500 m above ground. Thanks to its helium-filled hull, the Skye can stay airborne for longer than an hour; the four main steerable electrical motors on the 2.6 diameter blimp are merely used for movement and stabilization against wind forces. The Skye project was supported financially and received expert advise from Disney Research Zurich, the ETH Autonomous Systems Lab, the Linde Group (PanGas), Maxon Motors, and several other Swiss companies. 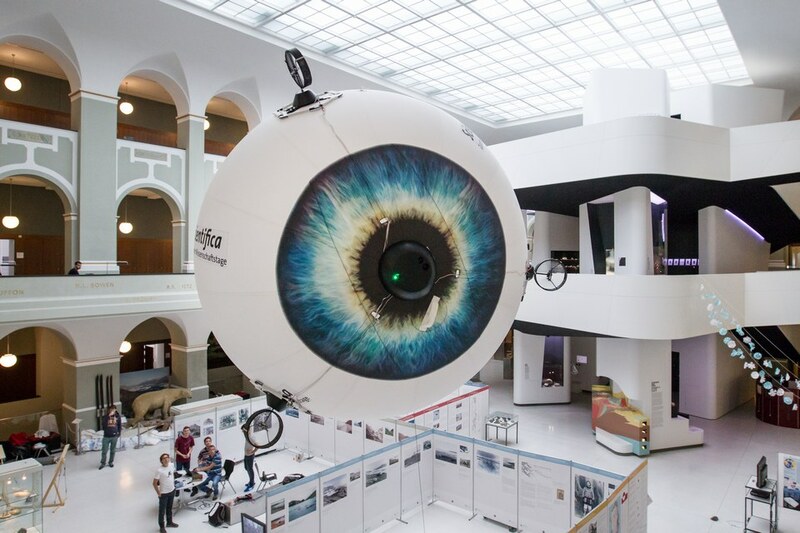 Skye: an omnidirectorial spherical blimp for the safe and energy-efficient surveillance of crowds, technical installations, high-rise buildings, agricultural crops or geological/archeological sites. As a consequence of their successful focus project, and thanks to encouraging feedback received from potential users of their innovation, a half-dozen members of the original Skye team decided that Skye could become a business – and that they could become successful businessmen! Today, the core Skye team is following up on this challenge to create economic value out of their research project, and they are supported in this quest by the ETH ieLab. The Skye team members are maturing their entrepreneurial skills, they are improving the original concept, and they are applying it to practical problems. Their goal is for Skye to become the most safe and energy-efficient solution for demanding surveillance applications such as monitoring large crowds, complex technical installations, high-rise buildings, agricultural crops or geological/archeological sites. The experience of the Skye team is similar to that of other young researchers at the ieLab: entrepreneurship is not just about learning management techniques and tools – it is about undertaking challenging tasks and accomplishing astonishing things! H. Chesbrough, “Open Innovation – The New Imperative for Creating and Profiting from Technology”, Harvard Business School Press, Boston (MA), 2003. C. M. Christensen, “The Innovator’s Dilemma”, Harper Business Essentials, NewYork, 2000. 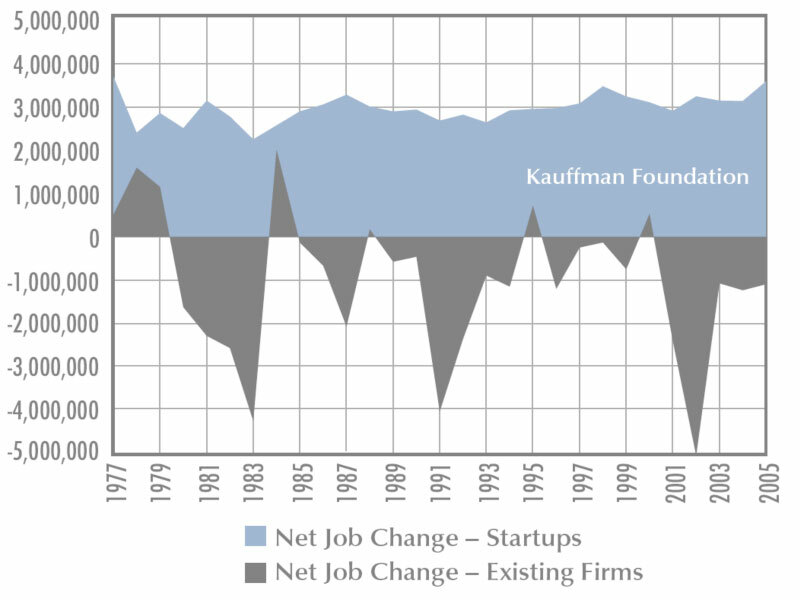 T. Kane , “The Importance of Startups in Job Creation and Job Destruction”, Kauffman Foundation Research Series: Firm Formation and Economic Growth, Ewing Marion Kauffman Foundation, July 2010. R. B. Cialdini, “Influence – The Psychology of Persuasion”, HarperCollins Business Essentials, New York, 2007. S. Hess, “An Open Innovation Technology Transfer Concept – R&D Cooperation for Breakthrough Technologies Between Academic Spin-Offs and Established Industry”, Dissertation ETH No. 20731, 2012.